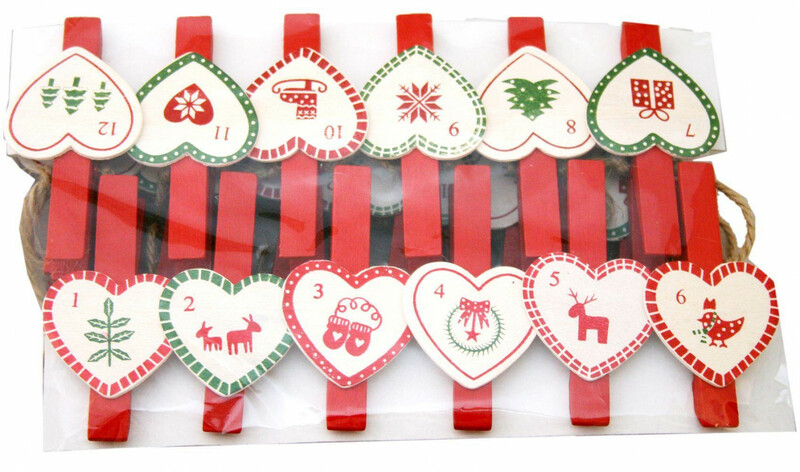 Add a little scandinavian charm to your Christmas decorations with this set of 24 heart shaped numbered wooden Advent pegs. If you're trying to think of a unique way to countdown to Christmas, then these advent pegs could be just the inspiration you need. Be as creative as you like and attach the pegs to a variety of items that you can release each day.